Can you figure out what the biggest waste-of-time line is on your resume? Why is the line lame? Companies assume that you have references, so telling them you have references, but not telling them who your references are, is a waste of resume space. Instead of using the lame line, take one of two approaches: Either don’t use the line AND don’t include your references (if the company doesn’t ask for them) or … even better … include your best references in the most impressive way possible as an extra page of your resume. But how do you land AND list an impressive batch of references to wow hiring companies? Read on. Step 1: List all the people you know who could … and likely would … vouch for your abilities, integrity and work ethic. Your reference choices may include former coworkers or bosses, mentors, family friends, teachers, coaches, advisors/counselors, classmates, or fellow volunteers. Potential references may also be someone influential who you know within a target industry or company. Step 2: Narrow your choices to the four most impressive sounding people who you believe will also be the most glowing in their sincere praise of you. Why four references and not three? Because companies ask for various types of references and you want to be sure to have more than enough to accommodate their preferences. At least two of the people should have a business relationship to you (if possible) and at least one should be someone with whom you have a personal relationship, such as a long-term, influential family friend. None should be family members. Step 3: Contact potential references individually as far in advance as possible and ASK them if they would be willing to serve as a reference to you. Don’t assume they will be willing. Provide them with information so they can make an informed decision and so they can speak knowledgeably about you should they decide to be one of your references. 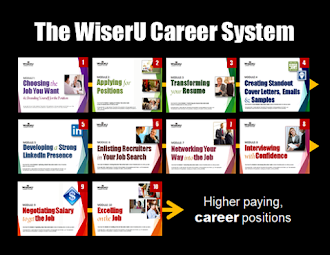 Send or give them your resume and provide them with talking points about why you are specifically well-suited for particular open positions. Make sure they know how to reach you by providing them with your phone number and email address. Step 4: Ask each reference for the following information – preferred name (for example Robert or Bob), the proper spelling of his/her name, company name, job title, company address, preferred phone number (optional: second phone number) and email address. Step 6: Once you have gathered all of your references' information, create a reference sheet using the type face and point size that matches your resume. 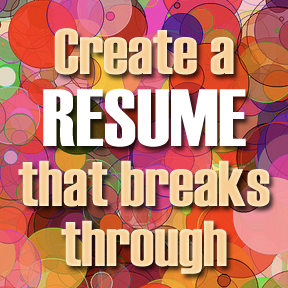 Be sure to include the same contact information as at the top of your resume. Include the page with your resume, particularly when companies request your references. If your references may receive a reference call soon from a hiring company, give them full details about who may be contacting them (name, company name, phone number and email address) and what information you want them to mention about you. Provide them with the job description so they can speak as knowledgeably as possible. Ask them to let you know if they were contacted by a hiring company and to let you know any information that they learned that could be beneficial to you. Afterwards, thank your references. Keep them informed about the outcome of interviews and, when possible, help them grow their business or search for work. Update your reference sheet each time your references' information changes. Create and include a LinkedIn recommendation sheet. Here's how. Remove "References available upon request" from your resume and replace it with an impressive referral list ... doing so can help you land a job or get a better one! Yeah, lame lines could ruin everything. LAme lines get resumes thrown out.